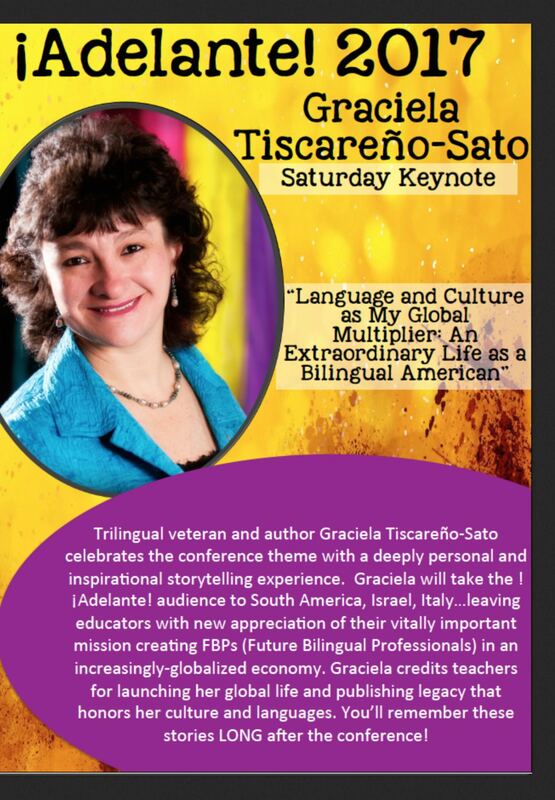 AUSTIN, Texas - April 20, 2017 - PRLog -- Gracefully Global Group is pleased to announce that founder Graciela Tiscareño-Sato will be delivering the keynote speech at the Austin Area Association of Bilingual Educators (AAABE) Annual Conference in Austin, Texas on April 22nd. The conference theme is "United in Culture and Language" as seen at conference registration site at www.aaabe.org/conferences.html. Ms. Tiscareño-Sato will share her educational experiences as an English Language Learner and celebrate the impact specific educators had on her life that positively affected her long-term professional and personal successes. She'll entertain attendees with how she overcame cultural obstacles and traditional mindsets to attend U.C. Berkeley as a four-year scholarship Air Force ROTC cadet. The speaker will share proof points of the many advantages of being a bilingual American with stories from her careers spanning global military service (including a U.S. Embassy post in South America) and corporate marketing roles at both a German telecommunications company and an Israeli renewable energy equipment company. 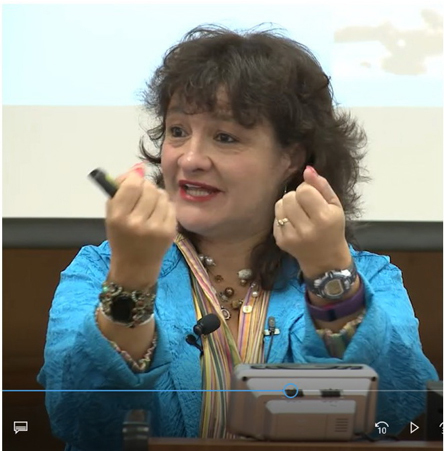 Tiscareño-Sato's strategies will encourage teachers to spark and fulfill the ambitions of our Future Bilingual Professionals (FBPs) – the speaker's forward-looking description of those we refer to today as ELL students. "Ms. Tiscareño-Sato's academic achievements and bilingual professional accomplishments in a variety of global industries will bring our theme to life and jumpstart our Adelante! conference," said Patricia Nuñez, President of AAABE. "We're thrilled she'll be speaking to educators' hearts, reminding them how critically important their work is educating our future bilingual American professionals and a peek into what's possible." As a social entrepreneur, publisher and sought-after speaker, Ms. Tiscareño-Sato is using her multilingual, multicultural, global life experiences to create award-winning, bilingual literature for our nation's diverse school-aged populations. 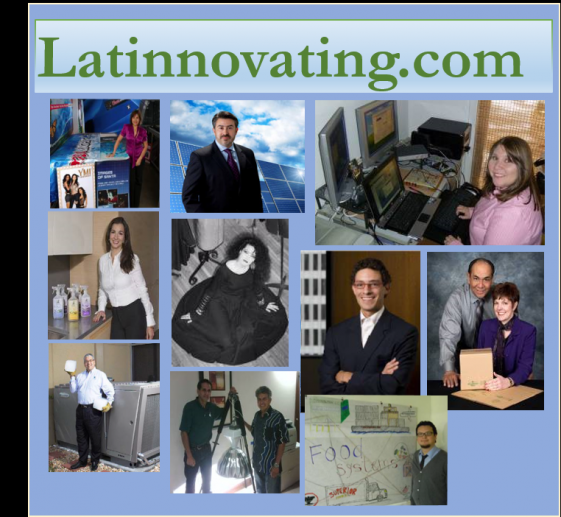 Her mission is to positively showcase the contributions of Latino Americans in the USA. 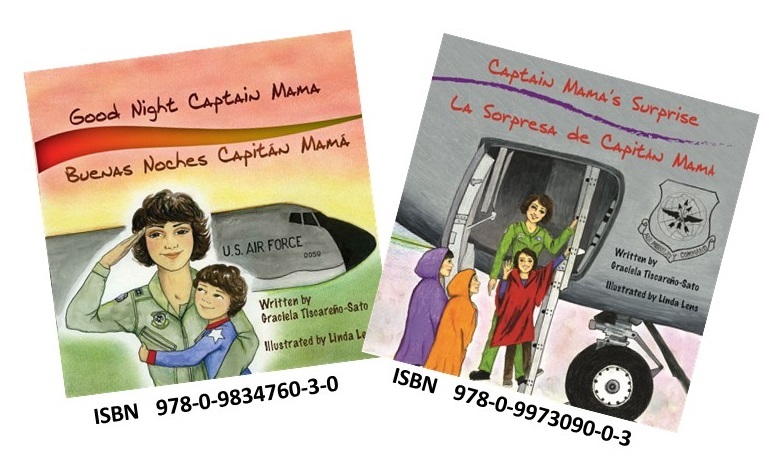 Her latest children's book Captain Mama's Surprise/La Sorpresa de Capitán Mamá won First Place in the "Most Inspirational Children's Picture Book - Bilingual" category at the 2016 International Latino Book Awards and was featured by USA Today. Today at the Adelante! Conference, Gracefully Global Group is announcing unique NEW Virtual Author Visit Packages in Spanish and English. This digital video course + books combo will help teachers share the veteran's inspirational daughter-of-immigrants biography and military aviation service highlights with their students before reading the books in K-4th grade classrooms. 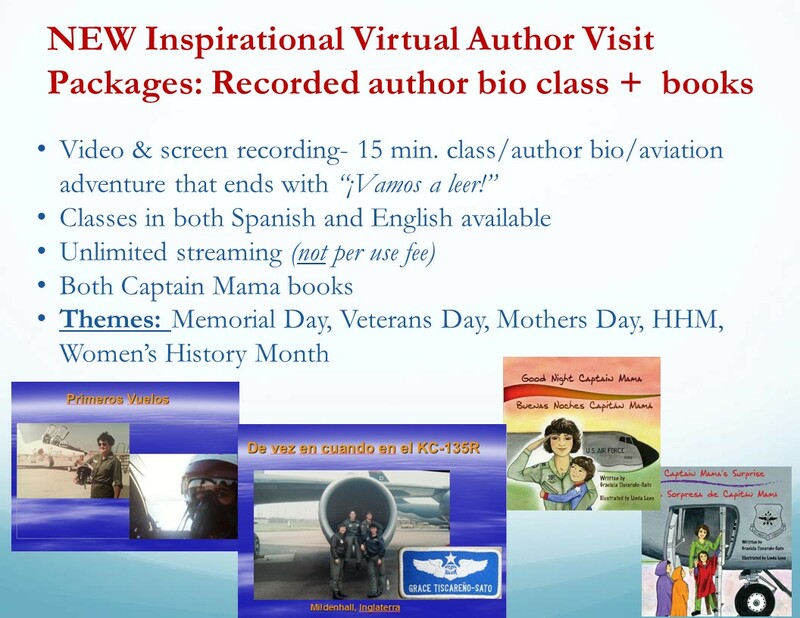 In the course, students will hear directly from the author as if she's in the room, learn about the airplanes on which she trained and served and get a sense of the awesome experiences she had as a military aviator. The latter led her to write the first-ever children's picture book series in Spanish and English about women in the military.